In less than 3 weeks our little family will be embarking on our first trip to Europe since having Hayes. We will be taking to the sky and traveling across the ocean to Denmark for a week long trip. Before and after our time in Denmark, we will be spending some time in NYC as well. It is a big trip for us with over three places we will be staying, multiple means of transportation, and all the while wrangling a very active 14-month-old. We are excited to take the challenge though, but unlike our past European trips, this one will be involving far more planning. So, before we share how the whole trip goes, we wanted to share a post about how we are preparing for this trip as parents. When Mike and I had Hayes we decided we wouldn’t stop traveling. We just knew it would look different for us. We weighed what would work for our lifestyle and routines and decided we wanted to commit to at least one overseas trip a year. We think more would be great, but we knew we could at least fit in one with our schedules. So when we started looking for our trip this spring, we landed on Denmark because we found great tickets and it was a place on our bucket list. We mentioned it to Mike’s parents that we were buying tickets and just by chance, they had that time open in their calendar for a trip so we made the decision to take the trip together. We will meet up in NYC for our flight to Denmark and take on this adventure together. Knowing there would be a 4 to 1 ratio of adult to toddler, immediately eased a lot of our stresses about this first big trip. Knowing we had extra hands plus babysitters so we could head out to a few restaurants we wanted to go to and more made this trip even more exciting to us. It meant this first trip abroad immediately would be going smoother than ever anticipated, at least we hope, but there is far more to our planning than having extra hands with us along the way. 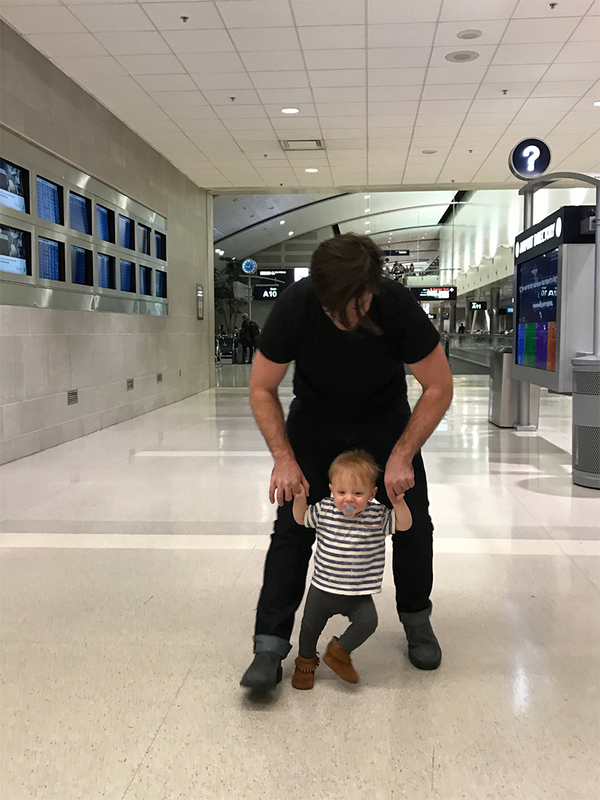 Since Hayes was born we have done a lot of traveling. At 3 months we flew to Houston and back. Then all last summer we went back and forth between Michigan and Raleigh while we moved. I did most of this travel alone then. Since then we have been to Texas a few times as well. At this point, we have perfected the nap in our arms on the plane trick and he deeply enjoys the experience of traveling. He does great and is absolutely in love with watching the world go by. Every trip we take he gets a little more excited and enjoys it even more than the last. The most recent trip we got him a tiny backpack to carry his favorite toys and a few pacifiers in to make him feel a part of the experience even more since now he is walking. He loved it and carried it with him days before our trip. Even with as good of a traveler as Hayes is, we also would never say that our trips go smoothly. 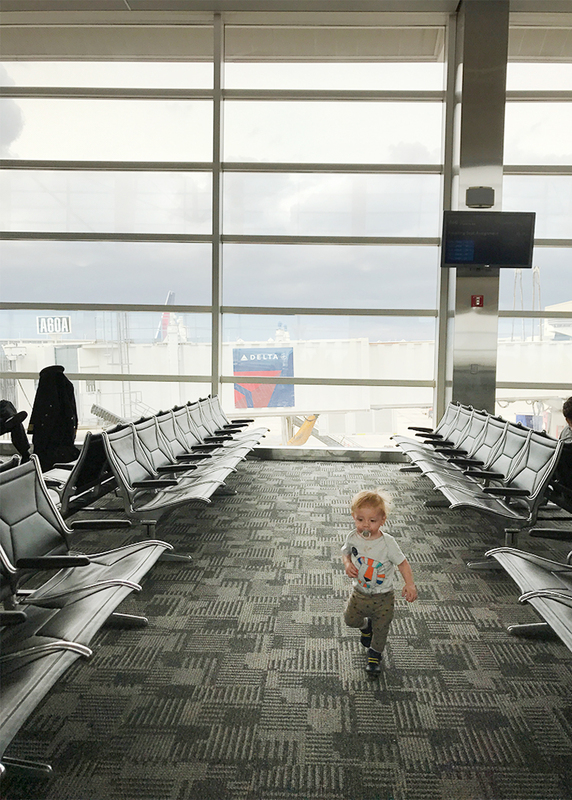 Traveling with a baby is one thing, but now that we have traveled with a walking/running and climbing kid we know just how challenging this experience can be. From losing track of luggage because we are trying to keep him from grabbing everything in sight to him getting over-exhausted to adjusting to new places to sleep. The list is endless of the things that present challenges, but if anything all our domestic travel has taught us with him it is that it somehow all works out if we just relax and let it work itself out. Based upon some of our past experience traveling we made some big decisions to hopefully make this experience as smooth as can be for all of us. Most of our planning focused on getting him the most play and the most sleep so he was tired on flights or had easy access to a consistent sleeping spot during our time in Copenhagen. Here is a quick break down of the things we planned ahead for to help make the trip minimal, full of good sleep (hopefully), and allows him to be a kid as much as possible. We didn’t want to travel with a car seat if we didn’t have to. So we decided that doing a long layover in NYC was perfect. Even if the trip into the city from the airport may be a little longer, we could take the subway and do some walking with Hayes, which he loves. It would be a fun new experience and a great way to see the city. Also, Copenhagen is very pedestrian and bicycle friendly, so needing to take a car (we are staying right in the heart of the city) will also accommodate not needing a car seat as well. On our way to NYC, we are staying with Anna Watson Carl and her husband, Brandon. They have a little girl a few months older than Hayes so it felt like a great way to spend a night in the city before our trip. The rest of our trip though we booked a place in Copenhagen with a dedicated room for Hayes and the same thing on our 4 day stay in Brooklyn after Copenhagen. These spaces also have high-chairs and more so these are all things we can leave back at home. Booking a kid-friendly rental make it easy to have comfortable and quiet sleeping arrangements, places to make meals so you don’t have to eat out all the time with a little one, and creates a home base to establish a routine. These are all important things to us with Hayes so choosing places that were accommodating was important. What is also great about Airbnbs is the opportunity to wash your clothes as most places that are kid-friendly have at least a washer in them. Confining this little guy to a plane too long is a terrible idea for us. So, this was a big reason we left room for play. Since Traverse City is a small airport, we would have over 3 connections to get to Copenhagen. Instead, we can fly direct to NYC, layover and rest for a night, and then take a direct 8-hour flight from NYC to Copenhagen the next evening so we can have about 36 hours between major trips, plus sleep in a bed. The hope is that this eases the pain of being stuck or traveling too long and everyone being overly exhausted, which could result in some terrible jet-lag on the other side. Though this adds another place we have to settle Hayes in for sleep, we still think it is well worth it instead of a whole 24 hours of travel. I always vote for a long layover with kids whenever possible. It gives them a chance to wear out and hopefully get tired so they pass out on the plane. Everyone says this and our last trip to Houston we REALLY considered it and it was a dream trip back and forth. We left early in the morning and he slept both flights. He got a nap in when we got to Houston and adjusted perfectly within 24 hours to a new place and time zone. It couldn’t have gone better. We planned the same thing for this trip. Our trip to NYC will be mid afternoon when he takes his second nap and gets us there around dinner so we get him settled and energy out before bed and bath. Then the next day we leave NYC at 7 PM and land in Copenhagen at 8 AM the next morning. Our hope is we can get a good 4-6 hours on the overnight flight either in two chunks or in one. For this trip, we got him his own seat in hopes we can make a bed of sweaters and stuff and get him to sleep on his own while we get some sleep as well. I also hope that since we will be landing at 8 AM he might adjust quickly to the time and we can get him a nap right when we get to our Airbnb and be roughly on schedule with him. Crossing fingers. We also chose our locations with our Airbnbs based on activities we could do with Hayes during the day. So we made sure to be near parks and museums that are family friendly within walking distance from our apartment. We hope this will make for fun adventures that he will enjoy as much as we will. So what are planning to pack? That is the big question right?! I have been thinking about what we will pack since we booked this trip. Here are the high-levels of what we are making sure to have with us. I tossed around sleeping options for Hayes. 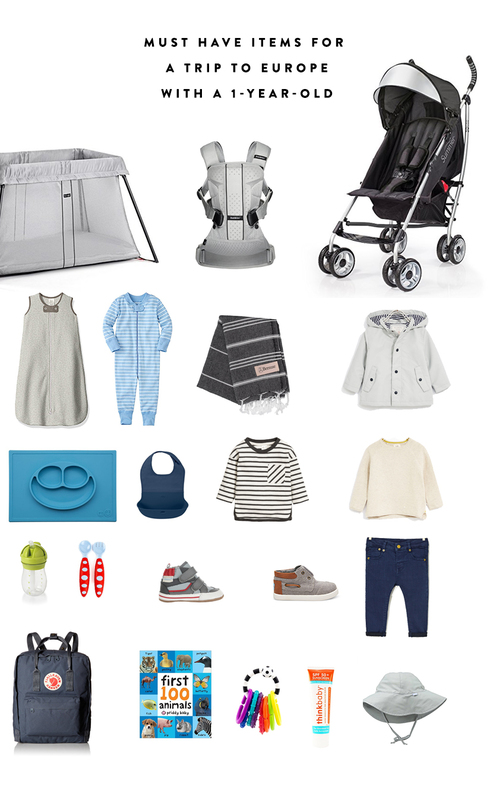 Sleep is key in travel with a little one, and I ultimately decided we would be getting a lighter and easy to travel with crib for him since we will be in 3 different places. The hope is a consistent bed will make the transitions from one place to another easier on him and his sleep. He is a routine kid and so staying as consistent as possible is important to us. We decided to go for the Baby Bjorn crib. From what I can tell it weighs very little so it should be easy to travel with. Open to suggestions though as we haven’t made a purchase just yet. Kind of important right? Completely. We got Hayes’s weeks ago in the mail. The photo of him still kills me. He looks too cute and I wish it was something we could keep forever. We have a nicer stroller, but as Hayes has gotten older, we love this simple little one for travel. It packs down, can be slung over the shoulder, and if anything happens to it it is easily replaceable. Speaking of, I think this may be our last trip with this guy. She is going to be well loved after this trip. Hayes isn’t a big fan of the carrier, but I am taking our’s because he naps in it really well and I figure if we cannot get him to nap on the go in his stroller, then this may be a great back up. It is so important to have any sleep accessories that are a part of his routine on hand for the trip. For us, that means a sleep sack, comfy pajamas, sound machine (iPad), and a pacifier. Having all the things that are part of his routine hopefully will make it easy to keep him on track during the trip. Even if we don’t need to take a travel high chair, we still need some on the go accessories for eating. We love this tray that sticks to the table so it keeps things “clean”. This bib rolls up and is very compact and you can roll in their silverware as well. Having sippy cups for the trip are important as well. Keeping your kid hydrated is extra important to help with jet lag. He loves straw sippy cups the most so we are taking 2-3 on top of his 3 bottles he uses throughout the day still. I always travel with great easy to layer pieces for Hayes. The plane can be unpredictable and then I think it is always good to have layers just in case the weather is unexpected. I am bringing Hayes a good waterproof coat in case of rain and I love these stretchy pants for him that look like jeans but are soft and easy to move in. I also love to keep great cotton sweaters like this one or this one on hand. They make for great layering over t-shirts and under jackets. I just always make sure everything coordinates by sticking to a neutral palette. I buy most of his things in cream, khaki, gray, navy, olive green, and then add in an occasional splash of color on t-shirts and onesies. It makes it easy to layer and for everything to look good together. Hayes loves to run and walk so we are always trying to make sure he has good footwear. For this trip, I plan on taking shoes with leather bottoms for indoor walking such as museums and then harder sole shoes to wear out and about. We love Robeez for soft soles and Toms hard sole shoes right now for Hayes. I always keep a Turkish towel on hand when we travel. It makes for a great blanket when Hayes is sleeping. When he isn’t sleeping I typically wear it as a scarf on the plane. They are soft, easy to clean, and handle any messes well. The perfect option for a blanket for the trip. Since we will be in two places that we will be spending a lot of time outside, I am also packing Hayes a sun hat to keep the sun off him as well as a good sunscreen such as this one from Think Baby we have been using as a family. We started using a Fjallraven bag for Hayes this year now that he needs far fewer accessories these days. We love it and we fit in a diaper pad in it easily. It doesn’t have a lot of compartments, but personally, I love how it functions. We plan to take it with us to Copenhagen and I think it will work really well for our trips around the city throughout the day. I know it is ultra hip right now, but we really like it for day-to-day use. I understand why so many parents use them. This isn’t just for the plane but also for any time at restaurants and so on to keep him occupied. We also will probably place a couple of shows on an iPad even though we don’t let him watch much of any TV other than once in a very occasional while, we think the plane may be an okay time to keep him occupied in this way. Anything to keep us all enjoying the trip. I love the link toys and so does he. We can clip them on things and do fun things with them. He also loves books that have a lot of different animals in them so we will be taking this book along as well. we have traveled back and forth between the U.S. and France since our kid was 3 months old (24 hours, three flights). It’s great that you got Hayes a seat–more comfortable for him and for the passengers around you. You are wise to allow time for play. Re your backpack: museums increasingly refuse to allow backpacks (makes sense in crowded spaces), and I have encountered other places (like a wine festival last weekend) where backpacks weren’t allowed for security reasons. Just an FYI. I just booked our second flight flyiNg with rori and i DEFINITELYagree that booking strategically around Nap time is key. I book the EARLIEST flights because she will be passed oUt the whole Time or will be awake and happy- shes a morning lady for sure. Cant wait to see yalls trip! Have you had much luck with Air BnBs in the past? I’ve tried several and they always cancel last minute, one time leaving me with only a few weeks to book a hotel over new years – a very busy time in edinburgh. Any tips for booking them? We have been using Airbnb for a long time and have only had 2 times we had either someone back out or we showed up and actually left because we didn’t feel safe (it was actually in the US in New Orleans). Other than that we have had great luck. We have had one that was not well kept at all. But we have rented dozens of them and have been really happy. If you have issues like that, make sure you get in touch with Airbnb. They are really great at helping. Oh and also by telling them a host did that they will make it harder to find that same airbnb and they will get knocked down as a recommended place. Look at reviews and there are hosts with badges. Those indicate that they are really good and reliable. That’s great to know – thanks so much! We bought the baby bjorn crib to travel with when we visit our parents and love it. It is super light and (once you learn how to do the legs- just pull out and lift) can be set up or taken down in a minute. Our daughter sleeps well in it. I can’t compare to other travel cribs but We are very happy with it. So good to know! I was wondering so thank you!!! The lightweight thing is key with how many places we are going to be taking it. Sounds like you’re well prepared for your trip. Can’t wait to hear how it all goes! Denmark is on my list of places to visit soon! I’m pretty sure you can keep your passport forever – even when it expires. I have my parents passports from when I was a baby – my dad had his own and I was in my mom’s photo on her lap. I love having the passports with their photos and stamps! when I got my passport renewed last year, I had to send in my old one I got in my 20s but they returned it to me with the new one. so you can keep that cute photo of your son forever! he might be like me and be happy later on that you have his passport from childhood! have a great trip!! Make sure you go to superkilen in copenhagen (really cool park in Norrebro), Papirøen also has a great street food market that is a family friendly way to eat. also highly recommend host for a kid-free dinner, and beers at mikkeller Bar and mikkeller & friends. biking around copenhagen is the best, so don’t miss renting bikes (the city is actually not super walkable apart from the center, as the fun neighbourhoods are a bit spread out). The louisiana museum is a great 1/2 day trip too. Just did two transatlantic flights with a 14-week old, one of which i did entirely on my own. 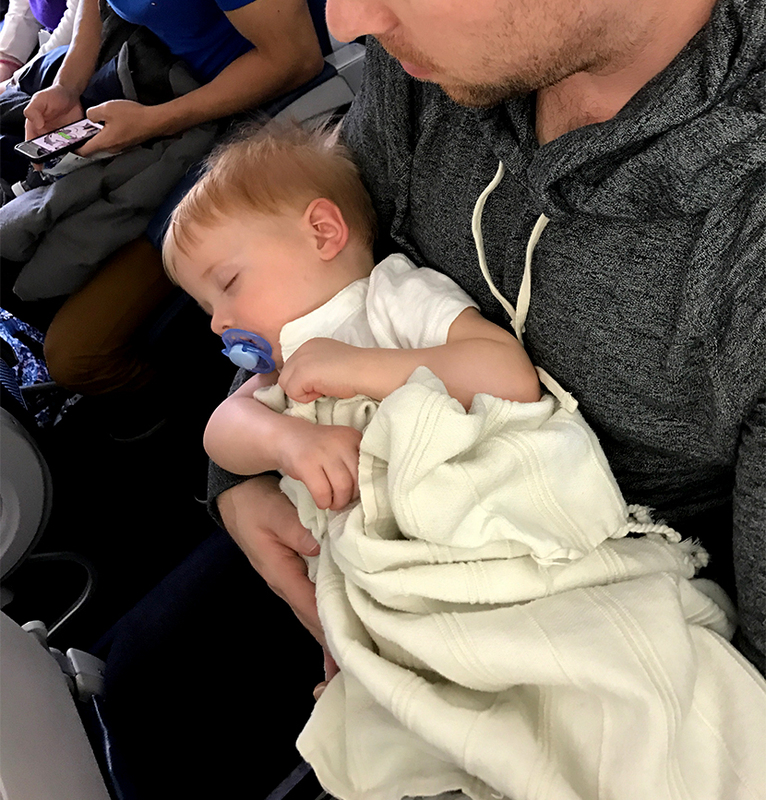 the carrier was a life saver for getting on and off the plane, and when the bassinet was a no-go, it helped the little man sleep safely when i nodded off. enjoy copenhagen – such a fun little city! I always thought I’d travel all the time with my daughter, but i ended up having an extremely energetic and emotional kid. 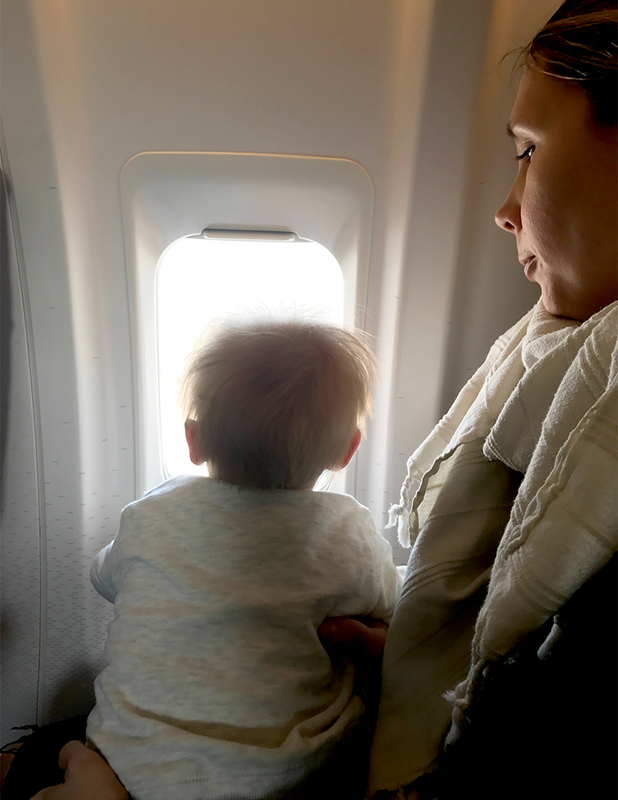 two hour plane rides between the ages of six months and three were torture. 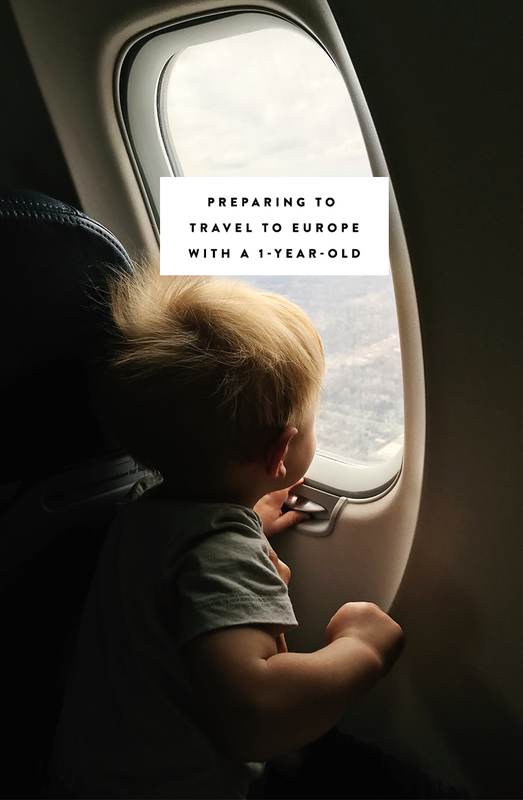 After she turned three, we decided to try taking her to europe by planning the plane ride around her sleeping schedule, as you SMARTLY are doing. We did a countryside trip instead of a city one, so it was a little different. bUt i did post about the things I did right (http://eatbetterdrinkbetter.com/taking-a-toddler-to-europe-what-we-did-right/) vs. things i did wrong (http://eatbetterdrinkbetter.com/taking-a-toddler-to-europe-what-we-did-wrong/). I hope your trip is great! having grandparents along will be key. Oh this is so helpful! Thank you!!! I will be reading. And I get it. Hayes is so active it is my biggest stressor in this whole thing. He will pass out but it takes work. How exciting to be headed to Copenhagen! We love European travel, would love to head there one day. We are heading to Paris for 7 weeks in June, so have started thinking about travel again, now that our daughter will be 18 months. How the dynamics change as they grow older! WE ALWAYS plan our flights for Isla’s nap times/night time. Because most of our flights to get anywhere are 24hr+ this normally means choosing the longest leg to be at night. We always have a small but versatile amount of toys/books for flight time and down time, but make sure we only pack a few. It’s amazing how little kids need when it comes down to it! The best thing we ever did was buy a Mountain Buggy Nano pram (https://www.amazon.com/Mountain-Buggy-Nano-Stroller-Black/dp/B019DRIT4Y/ref=sr_1_1_a_it?ie=UTF8&qid=1493008932&sr=8-1&keywords=mountain%2Bbuggy%2Bnano&th=1) – it folds down to a tiny size, and can actually be taken on flights as a carryon. If you need to take it up and down flights of stairs it’s super easy to fold up and carry. Seriously been a life saver while we’ve travelled. When going to museums, a lot of them won’t let you take in your pram, but will often give you a carrier to use for free, which I loved as I didn’t need to carry it around while out all day. Another big life saver for us was only using backpacks instead of suitcases. This meant we had two 40L backpacks, one smaller backpack that we popped under the pram in transit, and a nappy bag that we popped over the back of the pram. It was super easy, lightweight, and meant we didn’t need to worry about lugging around a suitcase as well as a pram, and looking after a walking, exploring toddler. Good luck with the planning, and enjoy your trip!! We are taking Henry to France in July and I loved reading these! I am actually going to ask our Airbnb if they would provide a Pack n play, because several people told me that that worked for them. If not, I’ll figure out what to take! And I love that you suggest that stroller, because I had heard good things about it (it is one of the only umbrella ones that reclines all the way) and snagged one when Amazon did a flash sale last week. This is such a great post! We did an overseas trip from california to paris (!!!!) with our one year old and learned a few things along the way…. Hopefully our experience is helpful to others!